Only someone that’s suffered from the effects of tinnitus can fully understand the impact it has on our lives. It’s not just the annoying ringing, humming or buzzing that you hear that’s an issue. Maybe struggling to get to sleep and staying asleep is taking its toll on your everyday life, making the whole experience just that little more unbearable. Or maybe it’s affecting your concentration making you anxious and difficult to be around. Combine that with the fear of not knowing how long it will last, or if it will eventually get worse, and you have a valid reason why many of us fall into depression. The worst part of it all is when doctors and other health professionals tell you that it's 'something you just have to live with' with little regard to alternative treatments that might help. 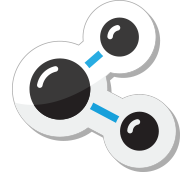 That feeling of frustration and hopelessness is why we created Audiens - The Tinnitus Pill. The only natural remedy designed to tackle both the problem and the side-effects that tinnitus creates. We're also the only tinnitus relief of this kind backed by a no quibble Guarantee. If you don’t experience relief from your symptoms in 60 days, we’ll give you a full refund for up to 90 days after you receive your order – no questions asked. Unlike some companies on the web who push their disclaimer where nobody can see it, we would really like you to read ours! This product is designed to reduce the symptoms of Tinnitus but it is not a cure. 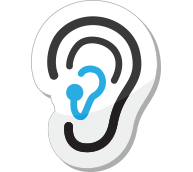 Tinnitus is usually related to more serious underlying problems and any company offering a 'cure' should be viewed with skepticism. This product is designed to reduce the symptoms associated with tinnitus such as the ringing, buzzing or hissing. The testimonials on this page are from just five customers. We would like to stress that results can vary from person to person. For some people, this product may not work at all, and this is why we offer our money back guarantee. You may already know there are two types of Tinnitus – Objective and Subjective. Objective tinnitus is a sound that can be heard by both you and someone else. For example, your GP should be able to hear the same sounds when they listen through a stethoscope placed near your ear. This type of tinnitus is less common and is usually caused by a physical problem that produces sound in or near your ear. Unfortunately, Audiens will not help with Objective Tinnitus. You should consult your GP to solve the underlying physical problem that’s causing the noises you hear. Subjective Tinnitus is often, but not always linked to some type of hearing loss. It can appear suddenly and may last three months (acute) to two years (subacute) or longer. In some cases, subjective tinnitus will never go away but the symptoms can be reduced to make it much more bearable. Hearing loss isn’t the only cause of tinnitus, but it does tend to occur in people who have some problem with their hearing, even if it is only mild, and perhaps goes unnoticed. 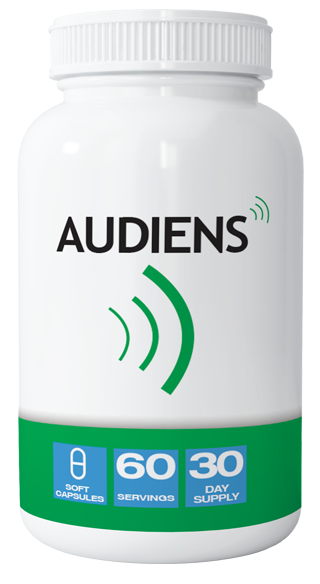 Audiens is designed to help people who suffer with most types of Subjective Tinnitus. It Prevents and Repairs Inner-Ear Nerve and Cell Damage. When we experience loud noises, 'free radicals' are produced in the inner ear. These free radicals start to damage nearby nerves and cells, eventually killing them. The Tinnitus Pill supplies your body with additional Antioxidants – our natural defense mechanism that prevents the free radical from being toxic and causing damage. It also contains Vitamin B12 that can help heal the natural myelin sheath that covers and protects your nerves. By addressing the cause of potential hearing problems first, a reduction in tinnitus symptoms often follow. It Improves Blood Circulation to your Ear and Brain Reducing Inflammation and Repairing Damaged Tissue. Many tinnitus sufferers are found to have out-of-control inflammatory responses. This sometimes leads to infections that further complicate the situation. 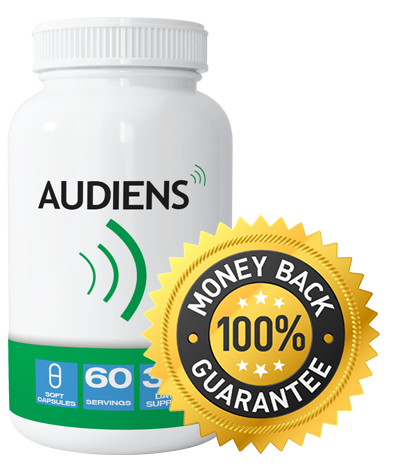 Audiens - The Tinnitus Pill contains a high concentration of Ginkgo Biloba, Quercetin and Bromelain that all assist in increasing blood flow delivering anti-bodies to where they are needed the most. This helps your body naturally fight the infection and inflammation. 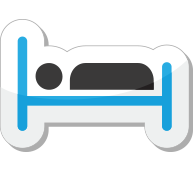 It aims to Reduce the Anxiety and Side-Effects of Tinnitus by promoting Natural Sleep. The body naturally produces Melatonin – a hormone that helps us sleep. As we get older and often in times of stress, the amount of Melatonin we naturally produce decreases. Combine this with your self-awareness of the noises as you lie awake, and you’ve got a formula for a terrible night’s sleep. Even if you’re not aware of it, sleeping late then waking up several times within the night can you leave you feeling depleted in day or worst, anxious and depressed. Audiens contains additional Melatonin to supplement the body’s natural supply. Every ingredient in The Tinnitus Pill has been carefully chosen based on its ability to help reduce the symptoms of tinnitus. Unlike other manufacturers who look at cost first, we have created this product as a high-end alternative to cheaper supplements that contain just a few of these ingredients in much smaller quantities. Our ethos is quality first, and we choose to produce the product in the USA rather than overseas. Melatonin is a natural, non-addicting hormone supplement that assists with sleep. It has a dual purpose in Audiens, also acting as an antioxidant to help reduce cell and nerve damage in the inner ear. A bioflavonoid found in fruits and vegetables with antioxidant properties that make it a powerful antidote to free-radical damage that can destroy hearing. Ginkgo Biloba is one of the top selling herbs in the United States. It’s also the supplement that has the Tinnitus community split, with some swearing by its effectiveness in reducing the ringing and some noticing little difference. We’ve tested The Tinnitus Pill both with and without Ginkgo Biloba. The positive benefit to some sufferers was significant enough to justify including it. Unlike the cheaper Cyano B12 used by virtual all vitamin companies, Methyl B12 is a better absorbed version of vitamin B12, a powerful antioxidant that helps regenerate nervous tissues and cells. Zinc is a mineral that has many functions in the body. If you already have a good natural supply of zinc, then this mineral will have little effect, but it can help substantially reduce symptoms for those who are naturally deficient. This is estimated to be up to 30% of tinnitus sufferers. Bromelain is found naturally in Pineapples, and is widely known to reduce inflammation – a common cause of tinnitus. Bromelain also helps improve the absorption of other ingredients in Audiens, including Quercetin, helping to make them more effective. Required for nearly all energy generation processes in the body Magnesium is vital in preventing and reducing hearing loss, one of the underlying causes of tinnitus. NAC is used by the body to make glutathione, the body’s own antioxidant defense. When a loud noise occurs, glutathione levels drop after fighting toxins and after a while, can become depleted. NAC helps with noise-induced tinnitus, when it’s used to re-synthesize more glutathione to neutralize the toxins. What scientific evidence is there to support Audiens - The Tinnitus Pill? It’s important to understand there is no real cure for some types of tinnitus, while other less severe (acute) cases can heal without any outside help. Any company or physician who tries to sell you a book or miracle cure that claims to cure your tinnitus without knowing its cause or severity should be reviewed with skepticism. We set out to answer the question, which ingredients in which quantities would be most effective at drastically reducing the symptoms. We were looking not just for a small improvement, but a drastic reduction that would improve the quality of our daily life and make the ringing almost unnoticeable. That's how Audiens was created. We took existing medical research conducted in the USA, UK and Germany, chose the right ingredients and worked with sufferers to find the optimal quantities at which they worked best together. Every ingredient was chosen based on its reputation for helping with the cause, or the symptoms of tinnitus. On the page titled 'Science', we've published links to some government backed medical studies on the effectiveness of our ingredients. How does Audiens compare to Sound Therapy and other Masking Devices? Like all other treatments for tinnitus, maskers and sound therapy devices are useful for some, but not all people. They work by producing sounds that mask or distract your brain from the sounds caused by the tinnitus. Masking devices shouldn’t be viewed as an alternative to Audiens if you are already using or considering using one. Ideally, it’s an extra tool in your arsenal to help battle the symptoms of tinnitus. We advise people to try all available therapies recommended by a professional and to decide what works best for them. Unlike masking devices though, Audiens - The Tinnitus Pill attempts to repair the damage that causes the noise, rather than just masking over it. This leaves you to lead a life that doesn’t depend on something which you always need to wear or carry with you for relief. Also, unlike paying for sound therapy, The Tinnitus Pill is completely risk free with our 60 day results or money-back guarantee valid for up to 90 days after you receive your order. Will Audiens work for everyone? Audiens will only work to reduce the symptoms of certain (subjective) types of tinnitus. This is estimated to be around 70% of tinnitus suffers. Also, every person's body is unique and whilst some people may see drastic results, some may only see small improvements. That's why we have a full money back guarantee. If you fail to see a substantial reduction in your symptoms, or if you simply decide Audiens is not for you, we’ll give you a full refund. Simply return the empty bottle to us anytime within 90 days of receipt. "I was at my wit’s end after eight months of self pity and little help from my physician who suggested several options but gave no advice on which ones would be most effective. I didn’t know how long this would last and if I could ever adjust as so many people told me I had to. I began using the product in March and after a few months started to notice that I was noticing the problem less and less, especially throughout the night. The majority of the time now, I have no symptoms at all and for the small fraction of time where it’s still noticeable it’s not as severe as it used to be." "I use this alongside soft laser therapy and the two seem to be the perfect solution after four years of using a white noise machine (and an iphone app when I travel). 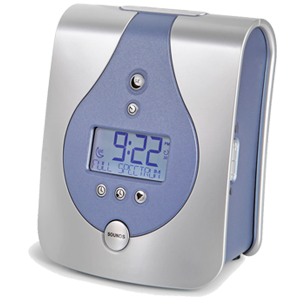 I find Audiens mostly helps with my sleep which to me was the most distressing part of having the condition." 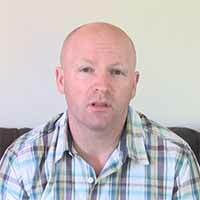 "I suffered with tinnitus and vertigo for almost 3 years and was originally told to pursue diazepam as a solution. After seeing the effect of similar medication on my husband for a different condition, this isn&'t the route I wanted to take. I've taken Audiens for about 12 weeks and on a 1 – 10 scale, the hissing has gone from an 8 to a 2. I know that's not much of a testimonial but I wanted to give you feedback as it has changed my life. Thank you for your product and your outstanding service in resolving my delivery issues." "I work in a busy grocery store and while my tinnitus is only mild, I usually struggle to hear customers which can be a pain, especially for them. When the pills arrived I was skeptical. If I’m being honest, I thought I’d be using your money-back guarantee but then five weeks in I noticed something. I’d stopped thinking about the buzzing (…which ironically made me think about the buzzing again for a short period! :-) ). Without realizing it, I’d been getting on with my life and sleeping much better without being so aware of my problem." Use Audiens - The Tinnitus Pill for at least 6 weeks exactly as suggested. If you don't see a significant and noticeable decrease in your symptoms simply send back the unused portion (or even just the empty container) and get a full refund. Required Legal Disclaimer: Due to recent decisions from the FTC, it is required that all companies identify what a "typical" result is. The truth is that most people never do anything with the products they buy, so most of the time, they don’t get ANY results. 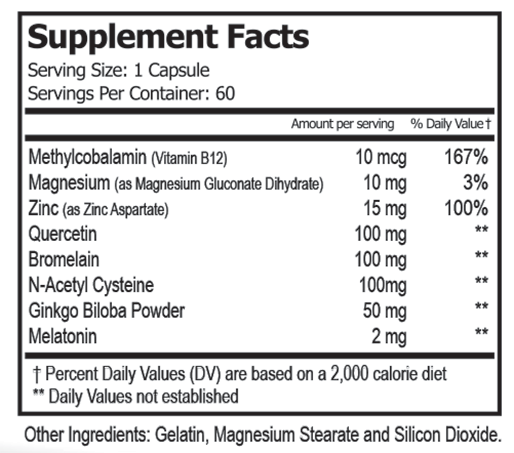 To put it bluntly, if you want results you need to take the supplement as directed. The testimonials you see on this web site are some of our better results. They stuck to the dose as directed and maintained a healthy lifestyle and balanced diet alongside it. In other words, simply purchasing this product will not help you. You must take action, and use it alongside a healthy balanced lifestyle.